You know how they say "you can't take it with you?" Well, when it comes to international shipping policies, there are some things you can't send, either. Universally speaking, whether you are using the good old U.S. Postal Service or an international carrier such as Federal Express or UPS, don't bother to waste time, energy or tape on trying to send handguns, live animals or cigarettes. Those items, however, are just the tip of the iceberg of the "no" list. Whether you are packing up your stuff and family and hitting going overseas for a fresh start, or simply attempting to send a gift to a friend, it's important to understand that international shipping laws are in place for a reason. Many items are clearly deemed hazardous for shipping purposes, while others are not permitted entry into some foreign lands. It will save you time and money to know what's what before you drop something off at the Post Office or hand it off to your friendly courier service driver. If the package you are attempting to mail says any of the following words on the label or packaging, think before even attempting to send it: explosive, compressed, gas, flammable, poison, toxic, infectious, radioactive or corrosive. Clearly, if an item is easily identified as "dangerous" or "hazardous" with or without a label, don't try sending it. For example, anything labeled "flammable gas" won't be getting too far in the shipping process. Fireworks, as well, can't be mailed anywhere. By the way, you may be thinking that fireworks and ammunition are docile without something to ignite them. However, consider that the shipping process takes packages through various temperature changes and potentially turbulent travel conditions. As far as shipping organizations are concerned, it's better safe than sorry. When Shipping Internationally from the U.S.
Every country has its own rules and regulations regarding internationally shipping policies. Find out the laws where you are shipping from and well as to, so you have all your bases covered. Lighters because they contain flammable gasses or liquids. Cosmetics may contain flammable substances. Electrical equipment could contain powerful magnets or mercury in switches. Household goods, including paints, bleaches, spray cans under pressure and many other items, because they can be flammable or combustible. Pharmaceuticals may contain flammable liquids, radioactive medicines, or other hazardous chemicals. Photography supplies could contain acids, corrosive materials, bleaches or poisonous materials. Thermometers may contain poisonous mercury. While certain items are obviously potentially dangerous, others are less so. Still these items are also on the international shipping prohibited list. Consider perfume or cologne, as an example. These oft-purchased gifts are not allowed to be shipped because they are considered flammable. This is where the process gets a bit tricky. Many of these items are usually not considered hazardous, especially when they can easily be found in our bathroom cabinets. Others are quite useful in the home and, when used appropriately, they are not dangerous. However, the following is a list of common household and consumer products that may not be mailed. According to the U.S. Postal Service, "they can become a hazard when shaken or when the temperature or pressure changes." 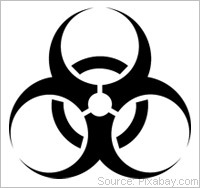 Some of these more common, yet potentially hazardous, materials include. One look at the various "restriction" lists for shipping released by countries around the world and you can tell that getting your package shipped internationally is not as simple as dropping it at the local Post Office. 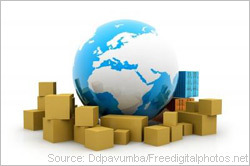 Each foreign country has its own set of rules, check first before packing or promising shipments overseas. In Albania, don't even try to ship clothing that may be considered "contrary to Albanians' taste." Algeria won't accept shipments of funeral urns or anything made out of tin. In Denmark, dried or powdered milk is a no-go while, thankfully it's hot in Paraguay - you can't mail wool blankets to that country. Australia - silencers for firearms and used bedding. Brazil - primary educational books not written in Portuguese. Canada - oleomargarine and other butter substitutes, including altered or renovated butter, the plumage and skins of wild birds, reprints of Canadian or British works copyrighted in Canada and used or secondhand hives or bee supplies. China - meat and meat products and wrist-watches, cameras, television sets, radio sets, tape records, bicycles, sewing machines, and ventilators. Dominican Republic - roulette games and other gambling devices. France - measuring instruments marked in units not complying with French law. Germany - playing cards, except in complete decks properly wrapped and pulverized cacao beans. Israel - blank invoices with headings, used beehives and organic fertilizers. Italy - albums of any kind (of photographs, postcards, postage stamps, etc.,) bells and other musical instruments and parts, footwear of any kind and hair and articles made of hair. United Kingdom - goods made in foreign prisons, except those imported for a non-commercial purpose or of a kind not manufactured in the UK and horror comics. Vietnam - invisible ink, codes, ciphers, symbols or other types of secret correspondence, and shorthand notes, products made from non-Vietnamese tobacco and unused postage stamps. http://pe.usps.com/text/Imm/ps_035.htm. However, if you have any questions at all about what you can and cannot send, check ahead of time by visiting the country's website. Duties and Taxes: Some countries will allow a recipient to pay these charges, others requires the shipper to pay. Duty and taxes are based on the declared value of the items. Documentation: Packages won't make it through customs if they aren't clearly labeled with "country of manufacture," value and content. Account for Time in Customs: If something has to be overseas by a deadline, ship it early. "Time in transit" does not account for time in customs. Get a Phone Number: The contact phone number of the recipient will help expedite delivery at their end. Safety First: Don't send alcohol. And, in most cases, don't send prescription drugs, cigarettes, smokeless tobacco, or handguns. Only licensed manufacturers and dealers can mail handguns. You can mail unloaded rifles and shotguns, but you must comply with all applicable laws. Not sure if what you're sending is hazardous or prohibited? A quick visit to your local post office or phone call to 800-275-8777 can put all your concerns to rest. Movers.com is your source for advice on all things relating to your move.